With 9 days to go before political parties depart on their campaigning trail, children are calling for politicians to adopt a winning strategy: prioritizing children. During the floods in Myanmar, approximately 1.6 million people, were critically affected. A number of them lost their jobs, children lost their schools and even more had their homes damaged or destroyed. Circumstances already prove challenging but for Thin Oo, the problems did not stop there. 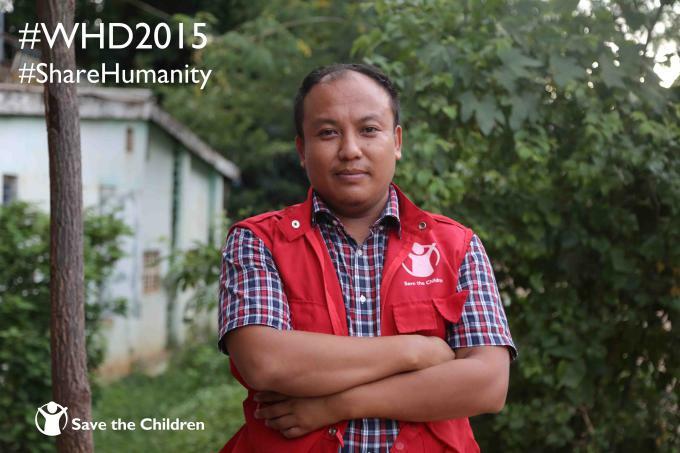 Celebrating our Modern Day Heroes on World Humanitarian Day: Meet Syn Hawm! On 19 August 2015, we celebrate World Humanitarian Day. A day to remember humanitarian workers who dedicate their time and efforts to support children and their families affected by various humanitarian crises. These modern-day heroes are the people who risk their lives to get to far-flung villages to deliver aid.